Providing safe and direct passage, bridges are essential for economic activity. It is vital to ensure they are constructed with sustainable building materials and maintained in a safe condition. 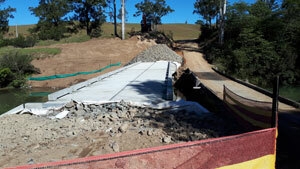 On New South Wales’ mid-north coast, road users will have access to safer and more reliable travel as ageing timber bridges are upgraded as part of Kempsey Shire Council’s $2.2 million Bridge Replacement Program. The program includes the substitution of McIntyre’s Bridge and Schmidt’s Bridge in the village of Bellbrook. 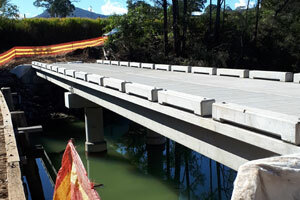 The two worsening timber bridges have both been replaced with a precast concrete solution. Spanning over the Nulla Nulla Creek, both precast bridges are 30 metres long and provide a single lane of travel. National Precast member Waeger Precast designed, manufactured and installed a range of precast elements for McIntyre’s Bridge and Schmidt’s Bridge. Waeger Manager – Bridges Chris Purcell says the project’s tight timeline demanded a construction method that allowed for simultaneous operations on and off site. The solution was a modular precast design that minimised onsite construction. “Using precast construction allowed McIntyre’s Bridge to be completed approximately four weeks earlier than conventional construction methods,” Mr. Purcell says. The short timeframe between the completion of each bridge meant the roadwork crews could continue from one bridge directly to the next, without the need to demobilise then remobilise to site. Thirteen abutment retaining wall panels were manufactured for McIntyre’s Bridge and 16 of the same specifications were manufactured for Schmidt’s Bridge. Reaching one metre high and up to six metres long, all panels adopted a Class 2, off-form finish on the visible face and are tapered to match adjacent roadwork batters. Civil elements included deck units and headstocks. 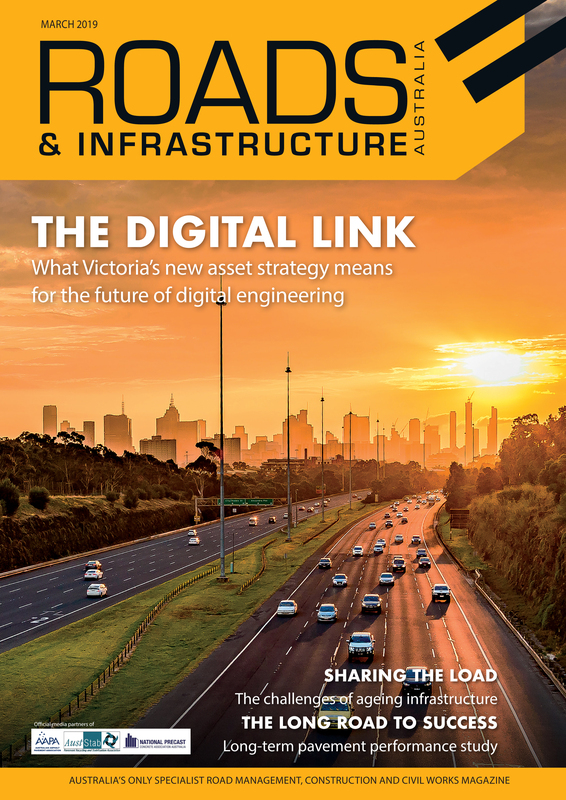 “Spanning 15 metres long, the Waeger Decks were manufactured in special tapered rebates to achieve structural grouted connections between decks and between precast and in-situ substructure members,” Mr. Purcell explains. Four decks have been installed for each bridge, with two per span forming a five-metre-wide, 30-metre-long bridge. The headstock beams are conventionally reinforced and are 0.75 metres wide by up to 4.5 metres long.